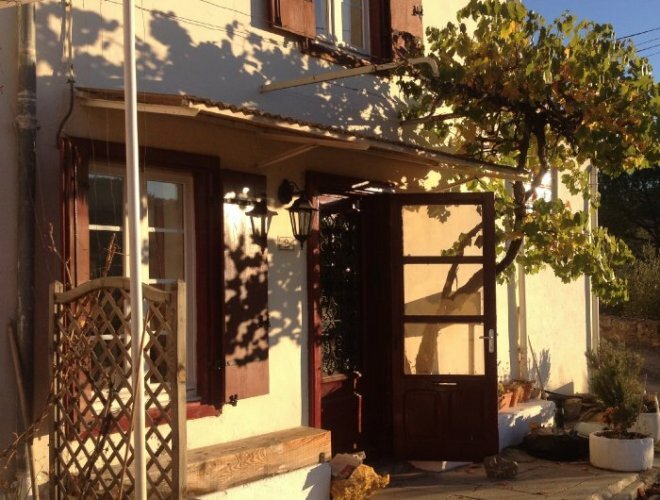 Restored Stone Cottage with Stunning Views. 2 Double bedrooms. 1 Twin bedroom. All bedrooms have spectacular views. Description of Property: Maison de Vigne sleeps up to 6, with 2 double bedrooms and a bathroom on the first floor and a twin room on the top floor, all with spectacular views of the surrounding countryside. A high chair, travel cot & stair gate are provided for the younger visitor. The ground floor kitchen with fridge/freezer, cooker, microwave, toaster, & kettle has all you need for a comfortable stay. 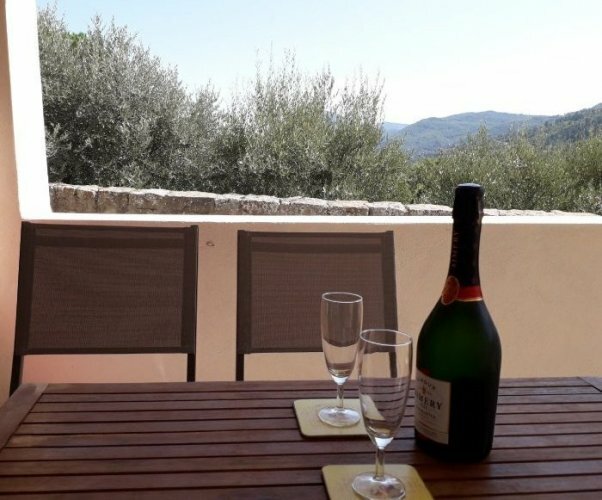 The large dining room seats 6, and opens onto a covered terrace with views over the valley. The lounge, which opens onto a south facing vine shaded terrace terrace, is equipped with a CD player, radio, TV, Ipod docking station, and a library of books & games. The south facing terrace is ideal for dining or just relaxing and taking in the view. 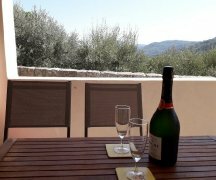 Maisone de Vigne - stone cottage with views. 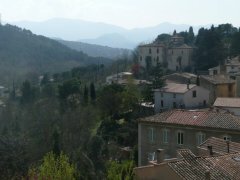 Outside Amenities: South facing terraces with views to Rennes-le-Château and Coustaussa Castle on the other side of the valley and visible in the distance, the snow topped Pyrénées. The private roof terrace is accessed from a double bedroom, again with stunning views. 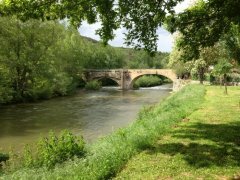 We are a 15 minute walk to the river Aude and the neighbouring village of Couiza with bars, restaurants, boulangeries, supermarket, hair dressers, pharmacy, organic produce store, tourist office, ATM & post office. 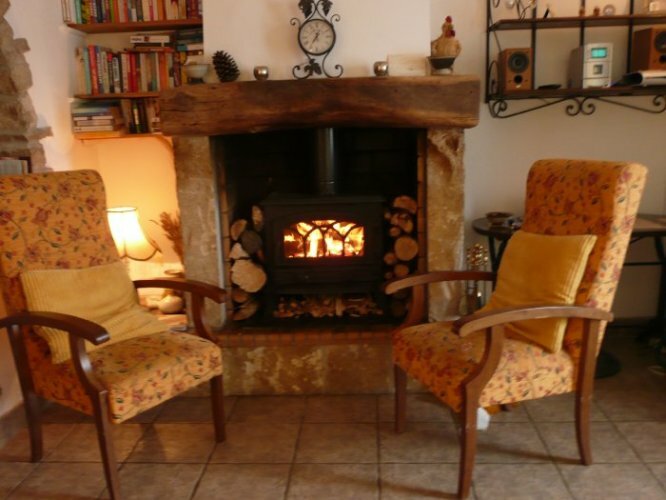 Surrounding Area: The cottage is at the centre of the Cathar region with hill top castles and the medieval city of Carcassonne to remind you of the fascinating and often tragic history for which this region is renowned. Just across the valley from the cottage is Rennes-le-Château, centre of a mystery still very much alive with many books written & films made on the subject. The link with the village is very strong - in 1852 Bérenger Saunière, the priest at the centre of the mystery was born in Montazels. We have 2 very good restaurants within 15 minutes walk over the river bridge in Couiza. 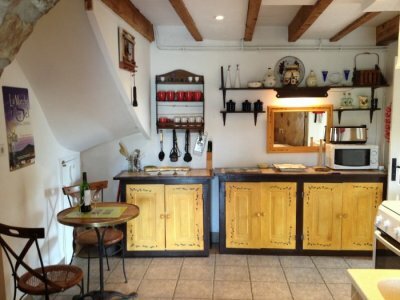 Montazels is also home to La Cave Des Haute d'Aldae, a 5 minute walk from the cottage where the excellent local wines can be tasted and bought. 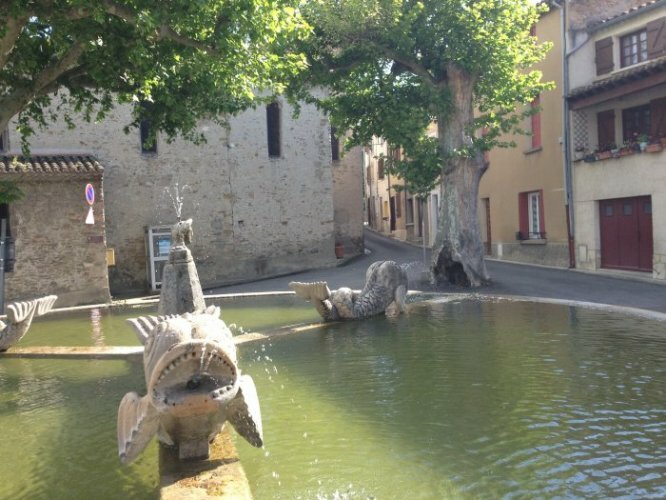 Aude en Pyrénées is the crossroads of the Corbieres and the Pyrénées, an ideal location to go hiking with 190 km of way-marked trails. For anglers the aude is a Grade 1 trout river just 10 minutes walk from the door, where you can also find Mediterranean barbel, while rafters, white water swimmers, and kayakers of all levels of ability are offered the most exceptional water sports in the gorges of the Aude Valley. The Mediterranean coast is just over an hours drive with picturesque villages en route and once there, long stretches of golden sand all to yourself out of season. Our local spa villages Rennes les Bains and Alet le Bain also offer bathing in hot spa waters containing natural minerals renowned for their curative properties. There are several local freshwater lakes with beaches for bathing, the nearest is Arque (7 mins. drive). Central heating (Mains Gas.). 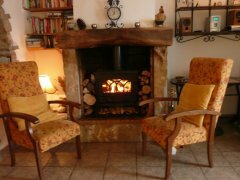 Wood burner in the lounge. Mains water. Mains drainage. Electricity. Telephone. WiFi Broadband Internet Access. Television. DVD. Hi-fi. Conventional oven. Hob. Microwave. Fridge. Freezer. Combined Fridge/Freezer. Washing Machine. Children welcome. No smokers. Strictly non smoking. No pets allowed. Not suitable for pets - not even well behaved ones. Pricing Info: Prices indicated are for winter rentals from November to March. Telephone calls, satellite TV & WIFI are included but electricity & gas will be charged at cost price by meter readings. 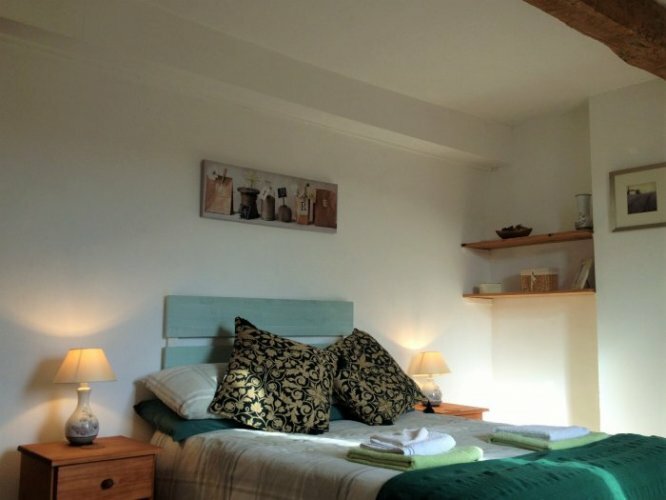 An initial supply of bed linen and towels is included. We require a 1 month deposit on booking with the full rental in advance. Please ask us for prices of long summer rentals. Please visit our website at www.montazels.co.uk for further details and availability.